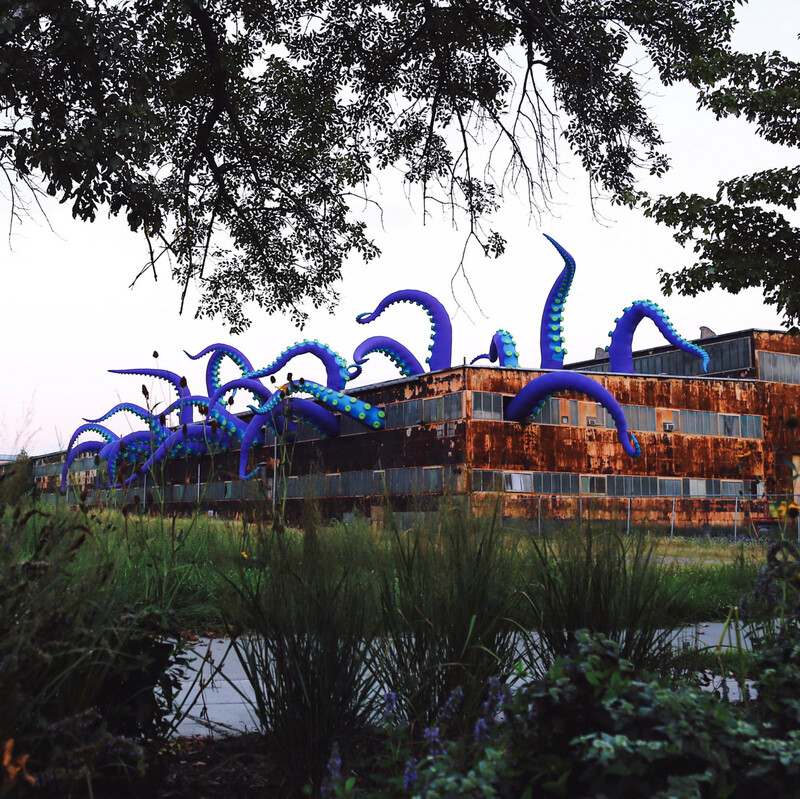 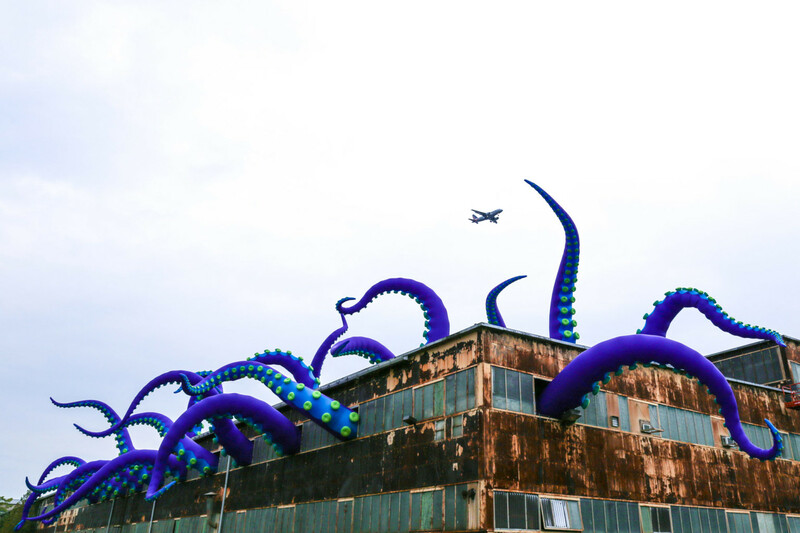 The installation Sea Monsters HERE, by the British artist Filthy Luker & Pedro Estrellas in collaboration withe the anonymous artists collective Group X, is composed by twenty enormous tentacles coming out of an abandoned warehouse in Philadelphia’s Navy Yard. 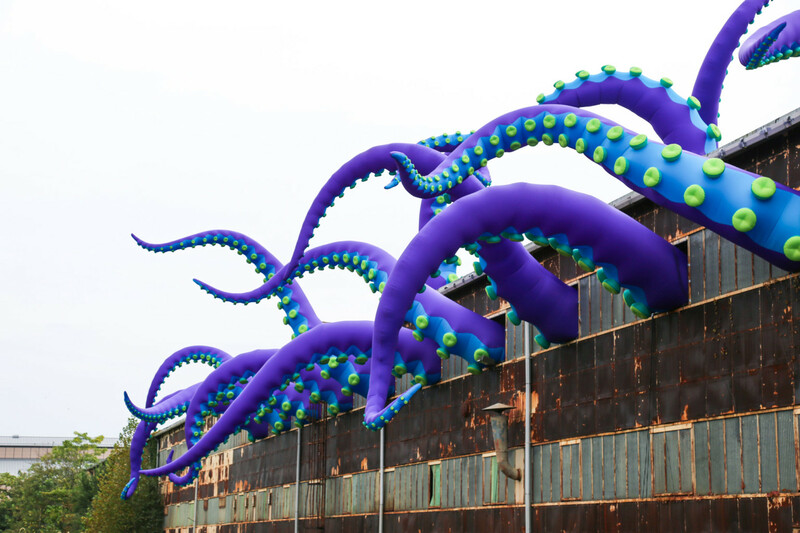 The duo work together since 1996 to realize stunning inflatable artworks mixing contemporary art and street art. 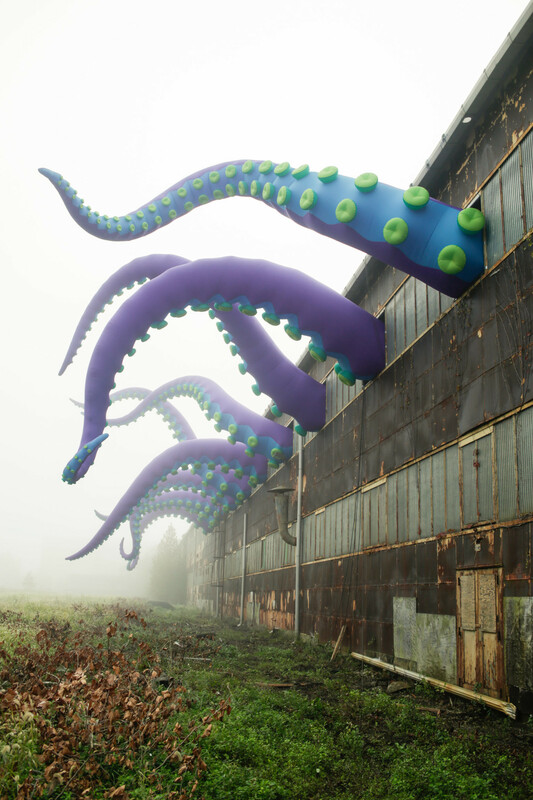 This installation completely change the rules of sculpture and design with its subversive touch. 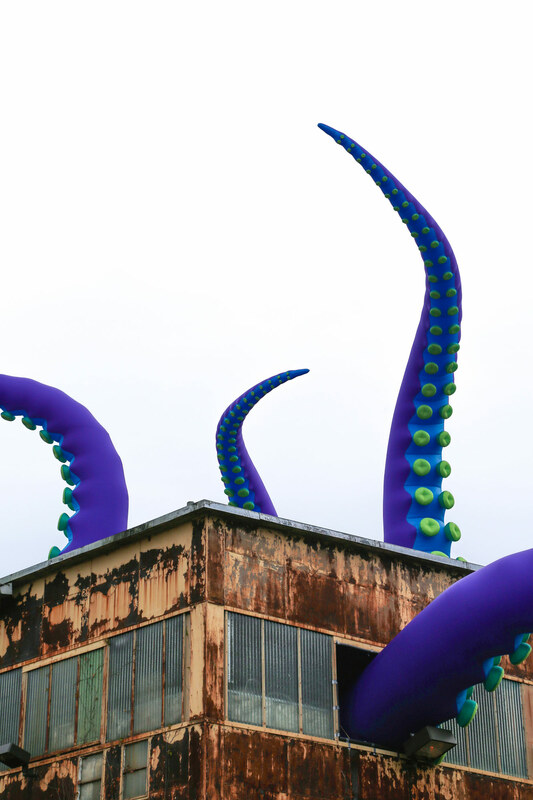 It will be exposed untile November, 13th.